Edcamp Hershey is returning Summer 2018. This year it will take place on June 18th. ​Registration is between 8:00 am and 8:45 am. You do not have to arrive exactly at 8:00, but you do want some time for networking and helping to create the session board. At the registration desk, you will get a name tag, post-it notes, and your raffle ticket for the end of the day (and we have a lot of stuff from our awesome sponsors). Either ahead of time or once you arrive, we want you to introduce yourself on FlipGrid, so you can make meaningful connections and expand your PLN. The password is #sweetpd, obviously. There will be light refreshments and session building time in the cafeteria. While we are feeding you, you are a captive audience, so we will explain the Edcamp model and outline the day. If you are completely unfamiliar with the Edcamp Model, we created a Nearpod to walk you through what to expect (Join Code: VMLXP). There will be four sessions. Everything you need to know for the schedule is on the website. Lunch will be provided from Blazing Swine BBQ and Sorrentos Pizza. During lunch we are going to demonstrate the virtual smackdown that will happen throughout the remainder of the day. The dress code is casual. Whatever you want to wear to be comfortable. A shirt with a logo of your favorite tech tool can be a great conversation starter. If bow ties give you confidence, go for it. You might want the option of layers; the building temperature can be unpredictable at times. Most likely it will be very tropical in the morning and get cooler as the day progresses. You will walk away with many ideas, so be prepared to record them either with a device or on paper. Sessions do not have to be about technology, but many times they will be, so bring a device so you can play along with everyone else. Wi-Fi will be available in all rooms; you will be able to join the Guest Network without a password. Instead of using projectors to share information with other people (and to resist the urge to present with a PowerPoint or such), there are Google Docs linked on the schedule so everyone can share information/resources that way. Don't forget to use our hashtag #sweetpd for anything you share on social media. ​If you have questions, tweet them out to @EdcampHershey and one of the planners will get back to you. 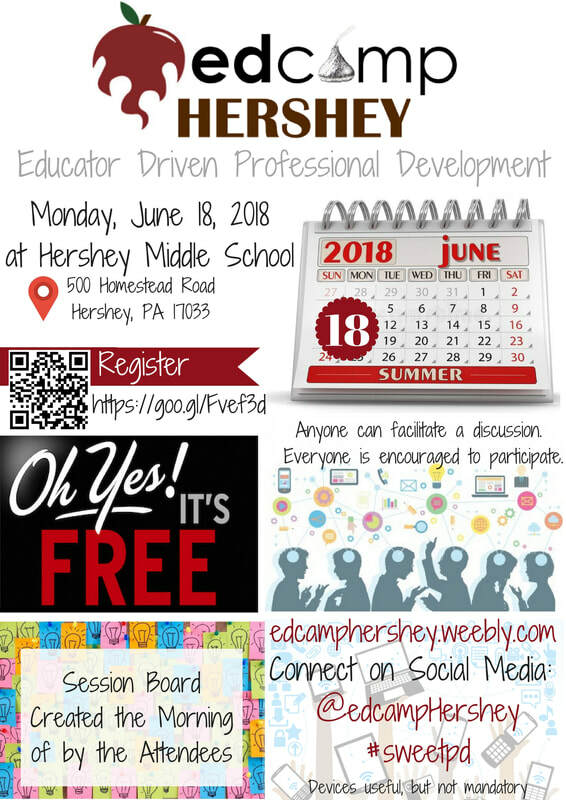 Join us for Edcamp Hershey on June 18th, 2018 from 8:00 am - 3:00 pm at Hershey Middle School, Hershey, PA. Registration can be found above. We hope to see you for a great day of collaboration, learning, and fun! Stay tuned for updates, excitement, and info leading up to the event. Be sure to follow us on Twitter! Edcamp Hershey will be taking a break for 2017. For this year, we encourage you to check out Edcamp Shippensburg on July 24th or Edcamp Capital Region on August 1st. ​We hope to see you in 2018! You will be handed a post-it note when you arrive at Edcamp Hershey. It is so much more than a normal post-it note. This post-it note has the power to change your PD destiny for the day. All participants are encouraged to write something that they want to learn more about, something they are passionate about, or a topic that they feel needs to be talked about. There are no right or wrong ideas. Hopefully you noticed that it does not mention PRESENTATIONS, just talking and learning. There are not formal presentations by experts at Edcamp. Someone with no background knowledge can still propose a topic they want to learn about and we will make sure to send some people your way to join the conversation. After you record what you want to talk about, you will hand it to the Session Board Wranglers, who will find a place for your topic. We have 12 session spaces and 3 time slots, that means over 30 different conversations can take place. It does not matter if there are only 3 people talking or 30, there is still the opportunity to learn. On the day of the event, we will share a link (through Twitter and linked on the schedule page of this website) to a Google Sheet with the schedule and sessions. The goal of the Twitter Challenge is to get to know some of the other edcamp attendees and get excited about #sweetpd. There will be prizes. Share the challenge with other edcampers and let the games begin… on July 5th. An easy way to follow the Twitter Chat is using Participate.com, which will ask you to create a free account to join, or you can just search for the hashtag #sweetpd. If you want to join the challenge, make sure to include #sweetpd in each Tweet. ​For more information about using Twitter as an educator, check out the Beginner's Guide. We are pleased to announce that Edcamp Hershey, in collaboration with PAECT, is now able to offer you five (5) Act 48 hours for attending Edcamp Hershey. At the end of the day, you will be able to sign a registration form indicating your attendance for credit. Please bring your PPID number, as PAECT will not be able to process the Act 48 credit without it. Don't know your PPID number? Find it here. A HUGE thanks to PAECT for coordinating this for us! See you July 18th, 2016 for some #sweetpd. We are excited! We have over 200 people registered for edcamp Hershey next month. While many names are familiar from last year, there are many new ones in the mix. Edcamps are unique, and we want everyone to feel prepared and welcome. 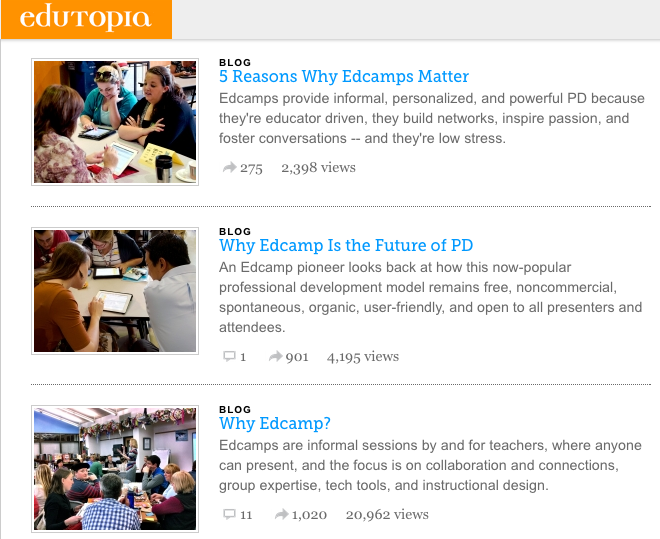 I was going to write a detailed and passionate description of what edcamp is and why it matters, but there are many great articles about the topic already written. Below are some of the options from Edutopia. If you still have questions, feel free to reach out to any of the planners individually or @edcampHershey on Twitter or edcamphershey@gmail.com. 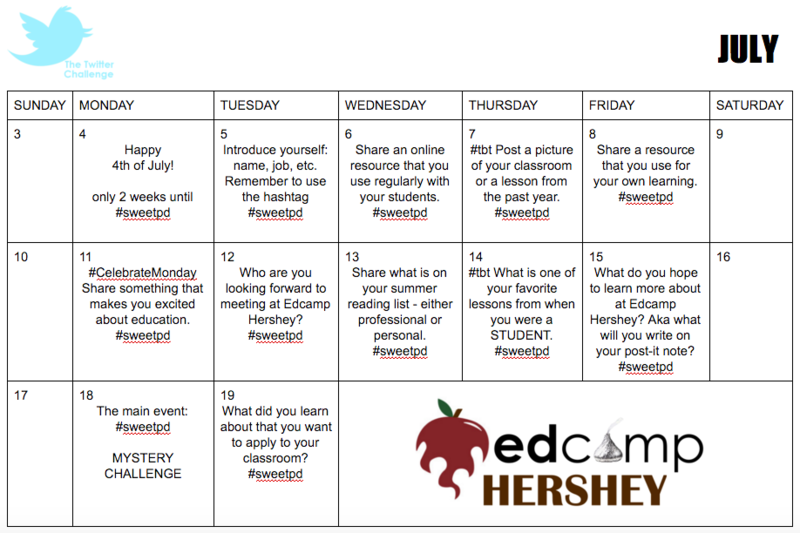 The requests for a follow up Edcamp Hershey began before the last Edcamp Herhsey finished. The planning team met for a few hours yesterday to get everything started. Tickets are now available - you can register on this page or directly through Eventbrite. Edcamps are more fun with friends, so we created a flyer that you can share with administrators and colleagues. All passionate educators are welcome! We planned #sweetpd opportunities leading up to the event, so make sure to follow @edcampHershey on Twitter and the hashtag itself. Want to experience an informal, but passionate, conversation about education before Edcamp Hershey this summer? Try a #coffeeEdu. Some of the planners of Edcamp Hershey will be hosting one on Sunday, February 21st at the Cocoa Beanery at the Hershey Lodge. For more info contact @SrtaLisa or @DianaRAC13. ​Yes, there will be a sequel to last year's awesome event! We do not have an exact date yet; first we have to find a location. 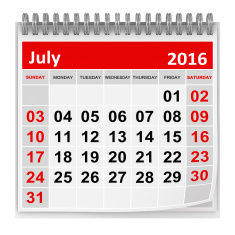 We are aiming for a Monday in late July for Edcamp Hershey. Last year was amazing and we hope to see many of you again this year. Stay tuned for more details and future registration - we will post on this blog and Twitter (@EdcampHershey).